The new Civetta brings a ladies touch to the Edge. Now you can look good without having sacrifice your feminine look. Edge Civetta Women's Safety Glasses are intuitively designed to meet fashion standards for women, while maintaining their safety rating. They don’t ride on the cheekbones, won’t touch the eyelashes, and contain no rubberized pieces that could snag the hair. Provides 99.9% protection from UVA/UVB/UVC rays. Certified ANSI Z87.1-2010 and Military Ballistic MCEPS GL-PD 10-12. 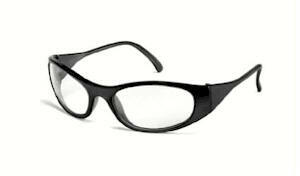 Women's eyewear, Fashion Oversized Glasses for work or play. Dual lens construction, with wraparound design. 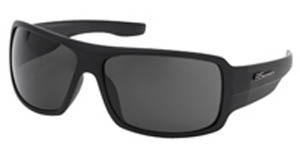 All lenses provide 99.9% UV protection. Great wrap-around protection from the elements. BS-2000 TR-90 Black Matte Frame. 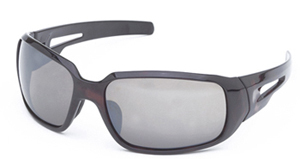 2.0mm polycarbonate anti-fog Smoke Lens. ANSI Z80.3 Great Wrap around 100% UV.